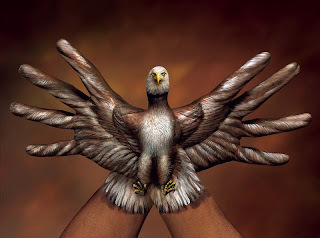 Hands painted by Guido Daniele. I hope this is the correct artist. 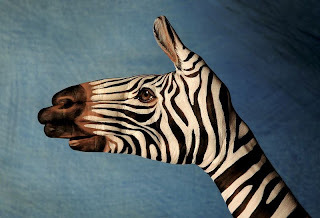 I really love his hand painting and since I do hand modeling I love it! 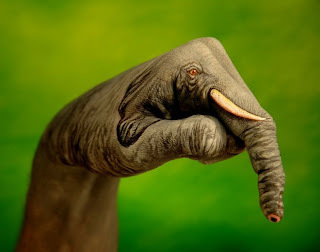 I even sent it to my body parts agent because I really think this is impressive,and drawing on your own hand is very technical and I admire it!